I often hear my teenagers say that they can’t talk to someone because it would be “too awkward.” While it may be just a phase for them, I think we have a society-wide problem: We’re afraid to really connect with people and ask them for help—even when it’s the only way we can move toward our goals. We need each other! In today’s podcast episode, I’m giving you the key to pushing past discomfort to achieve your goals and showing you the incredible power of asking for help with a story I’ve never shared before. I really believe that success doesn’t happen in a vacuum and that we all have to ask for help and support on our journey. This episode illustrates that in tangible ways. Listen on iTunes, Spotify or GooglePlay. Want to be inspired? Check out his podcast The Next 24 Hours. FIVE STEPS TO SCRIPTING THE LIFE OF YOUR DREAMS. Join the living the dream community to get inspiration from Curtis delivered to your inbox every Tuesday, PLUS a free download of his Write a New Script eBook. 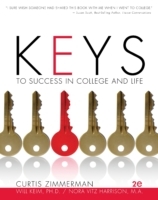 A workbook designed to make success achievable for college students.